It all began a week ago when Alfie was LATE home from school. This wouldn't normally be a concern since kids in Japan walk home on their own and if they have nothing on after school can and will take their time. But he had soccer practice and he's never late for soccer. We began to fear the worst. We called school. 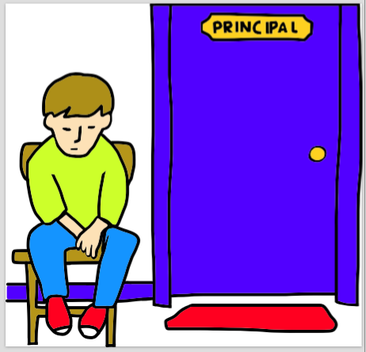 Alfie was in the principal’s office. Great. What had happened? I totally agreed with them. After the Mom of the main culprit (one of my friends) tearfully apologized for her son, the boys were brought in. Each apologized in turn and said what they would do in the future. Some cried. It was very emotional. And each boy had written an essay about their actions. Alfie’s in English. It’s the most he’s ever written in English. Maybe the school is on to something.